Will Whitwham of the Wilderness of Manitoba releases his debut solo EP today. 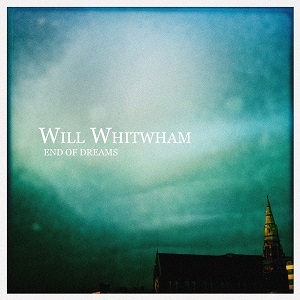 There are seven original songs on End of Dreams including one that Whitwham initially wrote for Martha Wainwright, but decided to keep for himself! The songs were written, performed, recorded, mixed and produced by Whitwham at his own Delaware House studio except Alleyways and The Autumn Sun Set Will Set The Land On Fire which were produced by Graham Stairs and recorded at Revolution Recording in Toronto. On those tracks, Whitwham was accompanied by Brian Kobayakawa (Serena Ryder) on stand-up and electric bass, Tom Bona (Sue Foley/the Wilderness of Manitoba) on drums, David Gouveia (Ivana Santilli/Bass Is Base) on congas and percussion, Mika Posen (Timber Timbre) on violin and Stefan Banjevic (the Wilderness of Manitoba) on cello. String arrangements were by Jim McGrath (The Last Mogul).